Brad Fritsch of Manotick, Ont. shares the first-round lead in the Web.com Tour Championship. The top 60 on the money list qualified for the season-ending event at TPC Craig Ranch, and the final top 25 will earn 2013 PGA Tour cards. 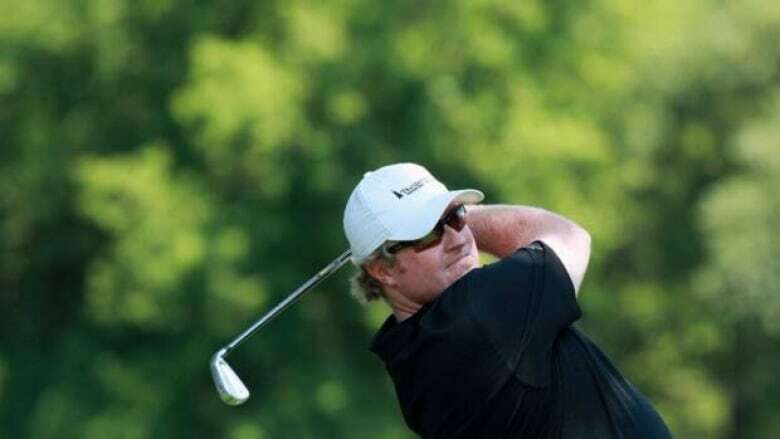 Canadian Brad Fritsch, Tag Ridings, Justin Bolli, Cliff Kresge, Michael Putnam and Justin Hicks shared the first-round lead in the Web.com Tour Championship, shooting 6-under 65 in windy conditions Thursday in McKinney, Texas. The top 60 on the money list qualified for the season-ending event at TPC Craig Ranch, and the final top 25 will earn 2013 PGA Tour cards. At 11th on the money list, Hicks is the only one of the six leaders to have wrapped up a tour card. Fritsch, from Manotick, Ont. is 21st, Putnam 30th, Kresge 38th, Bolli 44th and Ridings 51st. Ridings needs to win or finish alone in second to earn a PGA Tour card. "There's a lot of opportunity for me to make some more time with my family," Ridings said. "If I play well I don't have to go to work this fall and that's what I want. I want to be able to hang out with my new baby and my other two kids who need to see what daddy looks like. The last stretch of six or seven weeks was tough." Ridings withdrew after 54 holes two weeks ago in the Miccosukee Championship when his wife went into labour with their third child. "She was five weeks early. She's not supposed to be here yet," said Ridings about daughter Charli Elizabeth. "I guess she wanted to see the finish." Luke Guthrie and Philip Pettitt Jr. were a stroke back. Guthrie, the former Illinois player who has two victories since turning pro after the NCAA tournament, is second on the money list, and Pettitt is 36th. The winner will receive $180,000 from the $1 million US purse. "You try to focus on the golf tournament, recognizing that this is a tournament and you're trying to win the money list or finishing 21st like I am now," Fristch said. "If you freak out every time the guy in front of you makes a birdie, that's too much to think about and I'm way too tired to be thinking about that. "Play good and the rest takes care of itself. If I was in a different spot and knew I had to finish first, second or third to be in the top 25, you might play a little different and you might think a little different. I know if I play solid, it will take care of itself."